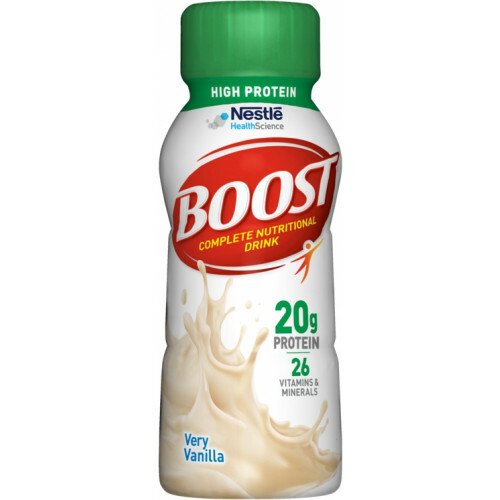 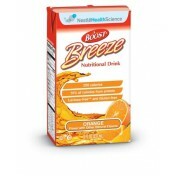 The Nestle Boost Vanilla High Protein Nutritional Drink is the approved method to help grow and retain muscles as well as limit the count of calorie consumption. 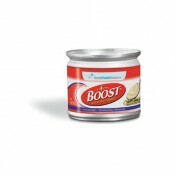 When you are recommended to increase your protein intake, you may be facing a debilitating issue that can stun the growth of muscle or lacking the essential nutrients and minerals to maintain muscle. 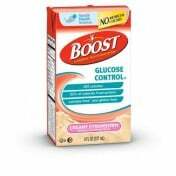 When taking nutritional drinks, it is imperative to make sure you are getting what your body is requiring to be supplemented for a healthy lifestyle. 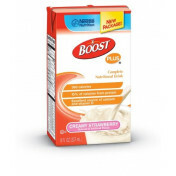 The Vanilla Boost 8 oz High Protein Bottle offers 26 essential vitamins and minerals, in addition to the 15 grams of protein - this is more than your normal protein supplement. Offered in a rich vanilla flavor and provided ready to drink, it gives people the option of taking along a grab-and-go drink when sometimes you may not have time during the day to indulge in a high protein meal; which can be time-consuming to make. 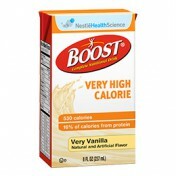 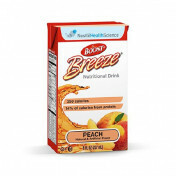 Created to help increase protein does not necessarily mean a huge spike in calorie intake, at just 240 grams of calories, the Boost High Protein 8 oz Vanilla Nutritional Drink does not greatly increase calorie which can lead to weight gain - but instead helps minimize calorie intake and balances with high protein to support a lean body type. 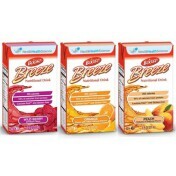 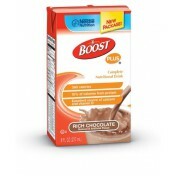 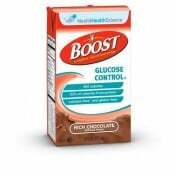 The Nestle Boost Formula is also offered in great tasting Chocolate.